The overall goal of the Fellowship is to gain experience of contemporary North American obstetrical practice as it applies to the assessment, management, and post-partum care of high-risk pregnancies. This will include exposure to: high-risk ante-partum patients presenting with various complications of pregnancy to the triage area of labour and delivery; intra-partum management of these women; the surgical management of deliveries; the use of intra-partum ultrasound; liaising with clinical colleagues (paediatrics, aesthesia, genetics) and laboratory services (medical imaging, interventional radiology, haematology); and care of a subset of these women admitted on the 10th floor of the hospital. The Fellowship is intended for an overseas graduate of Obstetrics and Gynaecology, and it is expected that the Fellow will function as the level of a Canadian PGY3 or PGY4 resident. 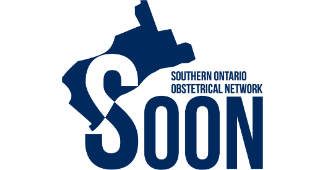 To develop an in-depth knowledge of the range of obstetrical problems and emergencies managed at this busy North American tertiary-care facility. To understand and learn current management protocols, including SOGC and ACOG guidelines, for these conditions including the concept of risk management. To become familiar with the contemporary ACOG and SOGC clinical practice guidelines as they relate to labour and delivery. To function in an educational capacity to junior (intern-PGY1 and core PGY2-3) postgraduate trainees in the labour and delivery and post-partum environments. To provide educational instruction to the clinical medical students assigned daily to the labour and delivery area. To attend and participate in educational rounds, seminars and conferences provided for Obstetrics, especially noon rounds Tuesday, Wednesday, Thursday, and Friday sign-out rounds on the antenatal floor.